Blueberry Pie is something I remember my grandmother and mother making, and it is most definitely a family favorite (my sister’s very favorite pie, in fact). It is so super simple it’s surprising to hear friends have never tried making one! 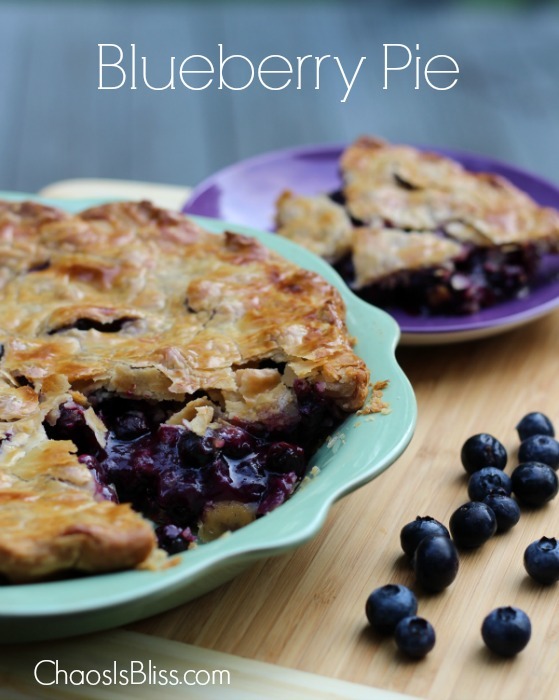 I first shared this Blueberry Pie recipe last summer in my Must-Haves for a Summer Picnic post. It is so divine, it deserves its very own dedicated post. You can certainly make your own crust from scratch – my grandmother always did, but to save a few steps I let Pillsbury make the crust. Enjoy! And please – do come back and comment if you make it and let me know what you think! Be sure to follow me on Pinterest for more delicious, family favorite recipes! 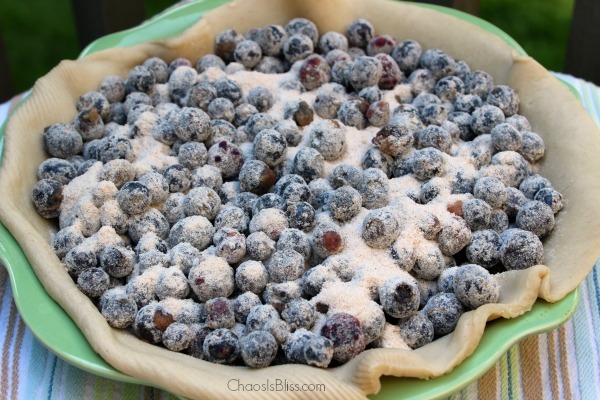 I was looking for a traditional blueberry pie recipe and found this recipe on Pinterest. I don’t bake that much anymore and most of my cookbooks are in storage while we renovate our kitchen . So many of today’s recipes use cornstarch as a thickener and I wanted a recipe that used flour instead. I made this pie exactly as indicated and it was scrumptious in every way. However, I did make my own trusty pie crust recipe instead of using prepared. This recipe is easy, delicious, and the pie filling as indicated was just sweet enough and held together wonderfully. The added cinnamon was a nice touch. Highly recommend this recipe! 5 stars on the yummy scale! 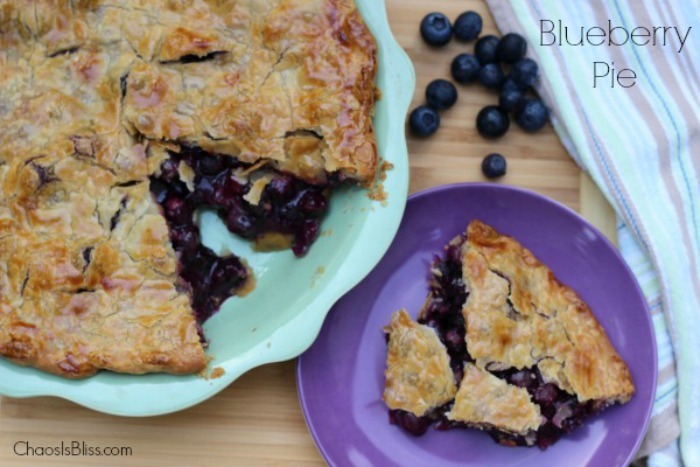 I made this blueberry pie with frozen berries, and it turned out FABULOUS! The first time I have had a pie be this good, and so easy! You must try this, I was blown away! Sandra thank you for such kind words! I’m so glad you liked this recipe. I have blueberries kept in my freezer so I can make it year ’round! I have a few questions because the first (and last) time I tried to make a blueberry pie I felt like it could have been better. When you say you take the shield or foil off after baking for 25 mins I’m not sure I understand what you mean. The other question I have is regarding using frozen blueberries, I assume you thaw them out completely before they go in. This recipe seems perfect for me but I just need some clarifications. Thank you so much for taking the time to share your recipes and answering my questions. Have a fabulous day. Hi Donna! First, for the shield/foil – I’m just now realizing I didn’t include a line of instruction to apply the foil or shield, I’ll fix that now! Many bakers like to protect pie edges from browning too much by covering with strips of foil or a pie shield. If you leave it on the edges for the full baking time, I find sometimes the very outer edge of crust doesn’t get as crispy or browned as the rest of the crust, so by taking it off a little more than halfway through the baking time, you’re preventing the crust edge from getting too brown, and it will have a more even color for the entire crust. Hope that makes sense! 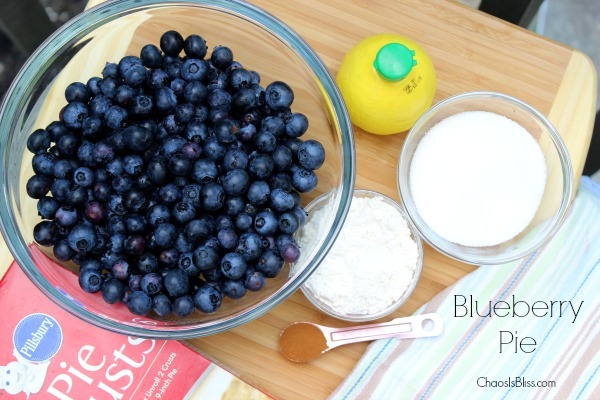 As for frozen blueberries – nope I don’t thaw before baking and it turns out great every time! I hope you try this and please let me know how it turns out! Thank you so much for your quick response I appreciate it so much. I now understand fully what you mean about the shield and I think the last time I kept it on the entire baking time and the crust was really crunchy. I will be trying this recipe in the next few days and I can’t wait to make it. Again I appreciate you getting right back to me and I really enjoy your blog-thanks for sharing. HI, I made this pie a few months ago and it was the first time I had attempted to make a pie in quite some time as I didn’t think I was very good at it and it came out FABULOUS! My family loved it and I am going to make it again today to celebrate this Thanksgiving! Thank you and Happy Thanksgiving to you! Kathryn, thank you so much for your sweet comment! I read it on Thanksgiving day and it brought me such joy and forgot to reply until now. So glad you’re enjoying the recipe, it’s been a no-fail pie recipe for my family too! Does it matter if I use all purpose or self-rising flour? Hi Theresa, I would recommend using all purpose. Granted it’s not a lot of flour in this recipe, but I’m not sure how it would perform with self-rising since that also has baking powder in it. 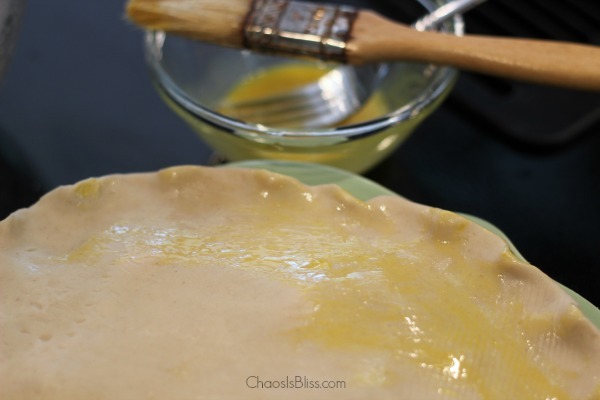 The purpose of using flour in the pie recipe is for thickening, not rising. Hope this helps! Looks delicious! Thanks for linking up at Welcome Home Wednesdays! did anyone forget to put in the lemon juice and butter? Cause I did and this is my first pie I’m making a MAN”. Hi Deb! So how did it turn out?! Yeah, it’s really ok to leave out the lemon juice and butter if you forget! My mother-in-law would love this. She loves blueberries and pies are her baking forte. Will have to share this post with her! I’ve literally made this pie 5 times in two weeks and am about to bake too more. 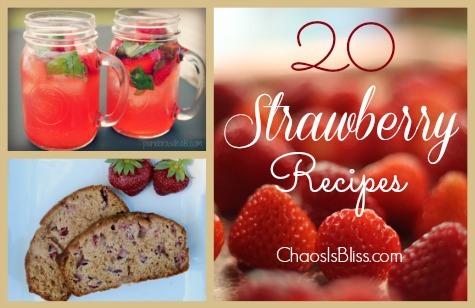 This is going in my forever recipe box! Perfection! I made this and used brown sugar! Came out scrumptious! The next time I will put nonstick spray on foil before I wrap the crust. Some of my crust stuck to foil! Wow brown sugar – I’ll have to try that! Yes I have the same problem with my crust sometimes too :(. I made my own crust but used recipe for filling. I used frozen blueberries. ; made a 10″ deep dish pie, which required twice as many berries. Increased flour, sugar and cinnamon,. Filling cooled overnight, but still too runny when I cut into pie. Maybe cornstarch would work better? Flavor is outstanding, crust flaky and delicious!